It’s no secret that we at Levitise are big fans of organic food however we still get many questions regarding whether it’s worth it or not. Many studies show that the nutrient differences between organic and non-organic food are not that great. Others go on to suggest that the pesticides on commercially grown food are not significant enough to harm humans. These studies are the ones most commonly reported on in the mainstream media so have had a massive influence on the majority of consumers. Let’s dig a little deeper into this controversial topic and see if we can answer our question, is organic food in Singapore really worth it? This is part one of a two part article so if you've already read this then feel free to click here to access Is organic food really worth it? Part 2. We’re going to apply Levitise’s S.A.P. model to this article whereby we’ll look at everything from a Scientific, Ancestral and Personalisation approach. We may even adopt the even more robust S.A.P.C. approach where we overlay a healthy dollop of Common sense on top of the whole shebang but let’s not get ahead of ourselves just yet! Commonly used organic food definitions in Singapore? So, where do we start? Let’s first work on our definitions of the most common organic food categories used in Singapore. I think you’ll find some of them rather surprising. In order to qualify as officially organic, fruits and vegetables must have been grown using no chemical fertilisers, pesticides, fungicides, rodenticides, insecticides or herbicides in the farming process (going forward we’ll refer to these as RIFFPH). 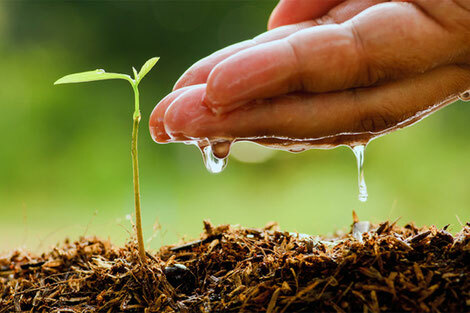 Processed natural fertilisers and pesticides are allowed as long as they are made from organic materials such as compost, humic acid, amino acids, seaweed extracts and such like. The main organic farms in Singapore are Quan Fa, New Sky and Land and Green Circle (uncertified but organic in spirit). Biodynamic grown fruits and vegetables are the gold standard and include everything above from the organic category plus the farmers take even better care of their crops ensuring that the soil is as rich and as vibrant as possible. They employ permaculture philosophies, sustainability and biodynamic farmers approach the treatment of animals, crops, and soil as a single system. Green Circle would be the closest farm in Singapore that utilises a biodynamic approach to agriculture. 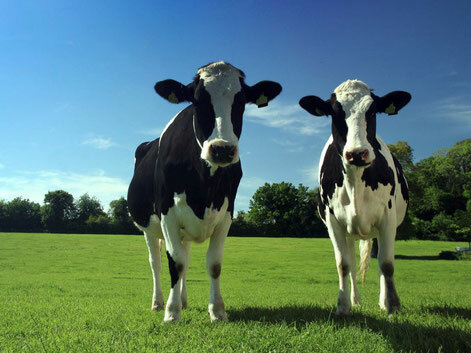 There are far more stricter criteria that go into “making” an organic cow as opposed to organic veggies. Firstly if the animals are grass fed then no RIFFPHs can be used on the land that the animals are grazing and it takes 3 years of annual testing to ensure the grazing pasture is certified organic. The animals cannot be injected with growth hormones to make them grow faster and bigger. The animals cannot be injected with antibiotics which makes them fat (this practice is now banned in the European Union but not in the US or Asia). The animals can be fed grain (an unnatural diet for most animals apart from birds and rodents) but the grain must be certified organic. The animals must have unrestricted outdoor access. Ryan’s Grocery and The Organic Grocer are your best bets for organic and fresh pork, beef and lamb in Singapore. Organic chickens can only be bought frozen but is sold by more places that just those two. Feel free to get in touch if you’d like to know where. This means the animals have been fed grass for most of their life but may have been fed grain to fatten them up for slaughter for the last 90 days. Not necessarily organic or drug free. Most Singapore butchers sell grass fed meat. Unfortunately most butchers, and all supermarkets, have no idea whether the animals are 100% grass fed and finished (see below). As an analogy if you take the fittest man in the world and feed him nothing but junk for 90 days then you will metabolically destroy him. In fact Morgan Spurlock managed to do it in only 30 days in the famous movie Super Size Me. The same thing happens with cows if you feed them an unnatural diet of grain which rots their guts, makes them fat (so they sell for a higher price), fills them with toxins (both man-made and natural) from the grains and destroys their beneficially fatty acid profile. If you’re not sure if your butcher knows what he’s talking about then contact us and we will do the digging for you. 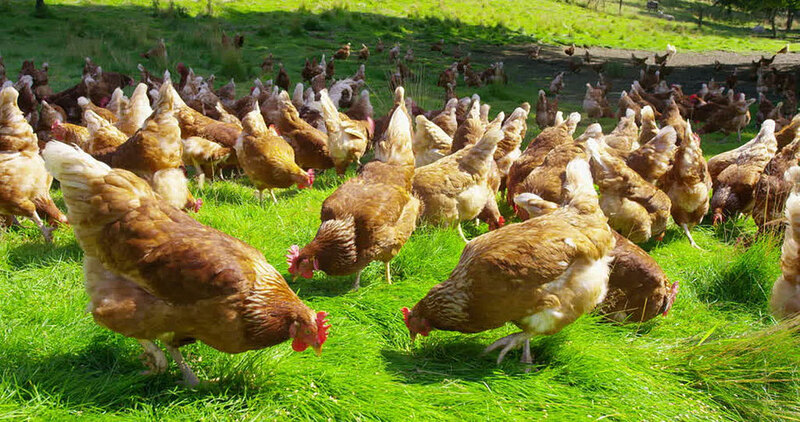 Organic grass finished and pastured animals are the gold standard of top quality meat. This means the animals have eaten a natural diet their entire lives. No grains, no corn, no soy. Just fresh green grass, and the local shrubbery just as nature intended. Very few butchers in Singapore can 100% certify that their meat is pastured for life. Ryan’s Grocery and The Organic Grocer can who get their beef from Blackwood Valley and Australian Organic Meats respectively. If you’re not sure about your local butcher then ask us and we will check out their farmers directly for you. This term is mainly used for chickens and is largely irrelevant. It just means that the animals are not kept in a C.A.F.O. (Concentrated Animal Feeding Operation) which is essentially a jail but it doesn’t say exactly what kind of roaming space the chickens get. 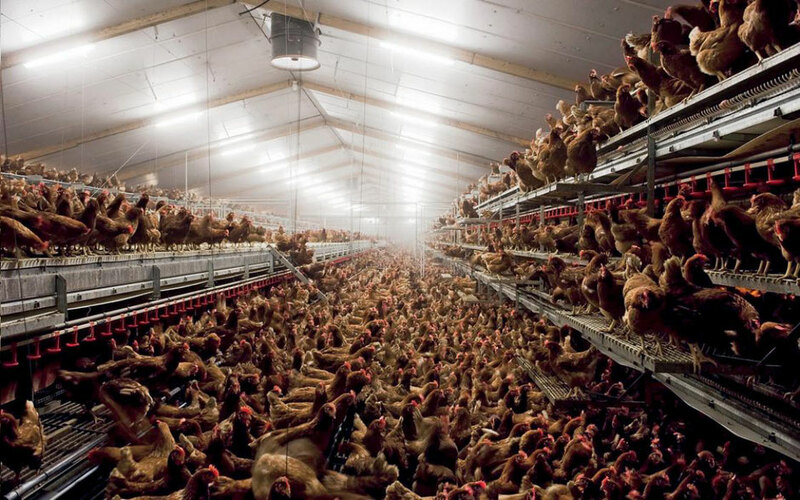 You can check out most free range farms and you’ll see tons of chickens, crammed into concrete barns with limited access to sunlight, fed an unnatural diet of commercial grains and pumped full of growth hormones and antibiotics to make them fat and because they are unhygienically jostling around in their own poop. They also often remove their beaks so they don’t peck each other to death in what is a very stressful environment. In a very small minority some free range chickens or egg cartons will be labelled as “pastured” which is infinitely better but if they don’t then its safest to assume the worst. A typical C.A.F.O. (Concentrated Animal Feeding Operation) in the US. Its all USDA approved! Free range - as you can see the term, “Free Range” is basically just marketing B.S. 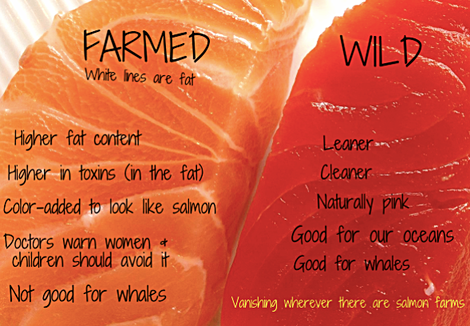 Thank you to The Lost Anchovy for this excellent picture of Wild vs Farmed salmon. Wild caught fish are fish that are caught out to sea. Because they are wild they are naturally antibiotic and hormone free, devoid of the pesticides and chemicals used to destroy the lice in farmed fishing environments, have eaten a natural wild diet as opposed to soy beans and finally have not been injected with red colouring to make them look more aesthetically appetising (like farmed salmon). OK now we’ve got the definitions out of the way let’s see how commercial foods versus organic foods compare. In 2016, 25 scientists from 14 agricultural universities around the world got together to conduct a huge meta analysis1 of 170 studies on the nutritional benefits of organic milk2 that was published in the British Journal of Nutrition. They found that the organic milk contained up to 69% more omega 3 fatty acids than omega 6 fatty acids. We’ll go into this more in detail in the future but in short just about everyone can benefit from increasing their ratio of omega 3 to omega 6 fatty acids that will decrease cholesterol levels, reduce high blood pressure, help with weight loss, reduce inflammation, increase resilience to viruses and disease, increase brain activity and increase IQ in children along with a host of other benefits. Polyphenol antioxidants such as these have been shown to reduce the rate of chronic diseases like cardiovascular disease, diabetes, neurodegenerative diseases and cancers. 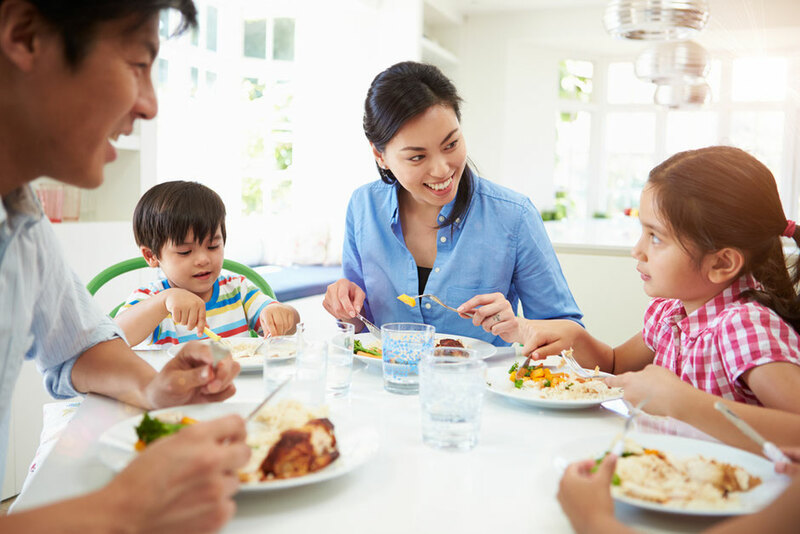 There are many other studies that also show how much more nutritious, in terms of essential minerals and vitamins, organic foods are as opposed to non organic foods4567 but then why are there so many studies that refute this? Easy. 95% of all consumed food is commercial and non organic and is controlled by big businesses such as Nestle, Unilever and Monsanto. These companies are responsible for most of the funding for the scientific articles in the first place. Scientists don’t lift a finger to do any work without funding and if it costs them 5 million SGD to fund a study who’s going to pay them? Monsanto which has a market cap of S$70 billion or Eric Tan the organic rice farmer who has an annual turnover of 20,000 bucks? 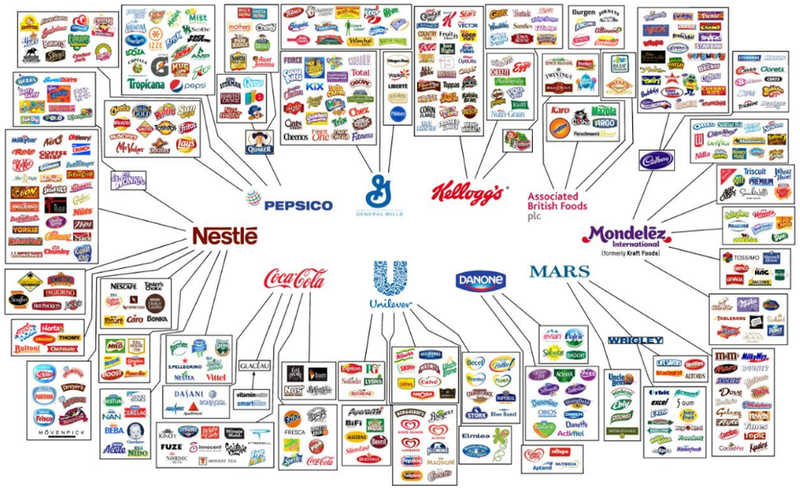 This figure shows the ten multinational conglomerates that control almost all of the food and beverage brands we all recognise. Here’s a great example of how this works. In 2014 a 30 page report8 by a group called Academics Review concluded that consumers were being suckered into spending more money on organic food by unscrupulous campaigns by the organic farmers. What was specifically mentioned in the report was that this was a non-profit group, led by independent academic experts in agriculture and food sciences. After the report was published, however, it came to light that Monsanto funded the review, collaborated on strategy and even discussed plans on how to hide their funding knowing that would destroy all credibility in the review. Of course by then the damage was done as the mainstream press had already picked up and distributed the “highlights” from the report. This happens time and time again not just in agriculture but in many other aspects of the health industry that is largely controlled by large commercial food manufacturers, pharmaceutical companies and insurance companies. They pay for and write the narrative, the press distribute it and sow confusion to the consumers who meanwhile continue to buy cheap unhealthy products and spend the difference in their doctor's offices instead! 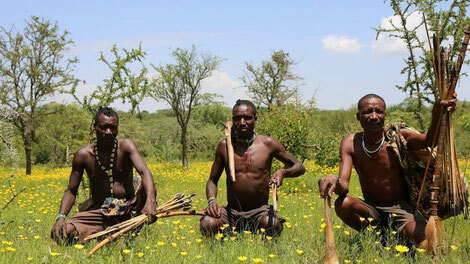 The Hadza: lean, healthy and strong. Its safe to say they didn't get this way gorging themselves on large tubs of Ben and Jerry's chocolate chip cookie dough! So that’s our scientific lens. What about our ancestral lens? Well we’ve survived and thrived for hundreds of thousands of years only eating organic fruits and veggies and wild caught fish and animals. Anthropologists that have dug up and studied our ancestors and have found little or no incidents of cardiovascular disease, cancers, diabetes and other modern lifestyle diseases9. In fact only 250 years ago our ancestors tended to be taller and fitter than us which historian Harold Gill attributes to our better diet back then10. More than 100 years ago Dr. Weston A. Price traveled the world for several years studying indiginous populations that were still eating a traditional wild organic diet. 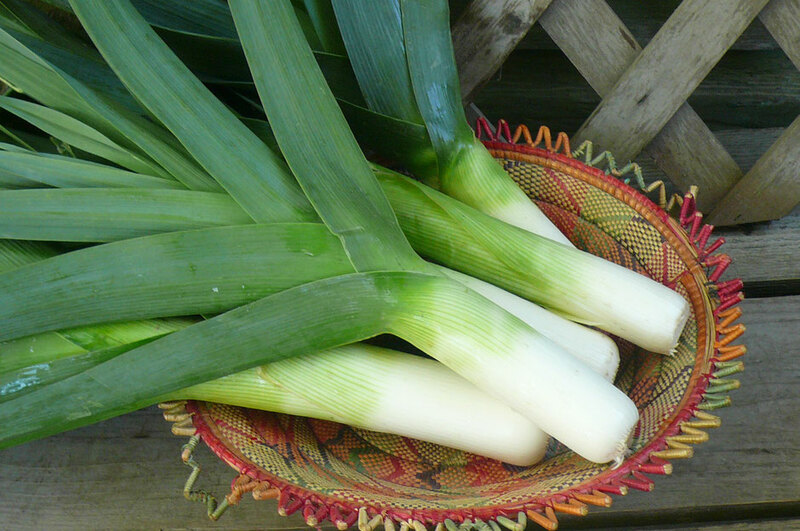 What he found, and documented, in his excellent book, Nutrition and Physical Degeneration, was that indigenous tribes all around the world ate many different organic diets and were in excellent health, exhibiting no signs of disease. However as soon as they moved to the cities and switched to local modern processed foods such as white flour, white sugar, pasteurised milk, jams and so on their health took a giant nosedive. Its an excellent read that I highly recommend and is THE diet book to end all diet books. So how do we personalise all of this information? Well for starters we should not really rely on everything we read in the papers, media, scientific journals and even on this website! We should really try things out for ourselves. The best way to do this would be for one week only embark on a pure organic diet and see how different you feel after only a few days. I guarantee you will feel fitter, stronger, healthier and most chronic lifestyle symptoms will be alleviated to some degree. If going 100% organic is too much then you're going to love our top tips in part 2 of this article where we provide you with the biggest bang for your buck. We also go into detail on toxins on commercial food, their environmental impact and the taste differences between organic and conventionally grown food. If you like this article then feel free to click here to sign up for our newsletter for access to our latest blog content and original research as it becomes available, hot off the press. 1. A meta-analysis is a statistical analysis that combines the results of multiple scientific studies. 10. Were your ancestors above average in height?